Almond (Prunus dulcis): growing, planting, caring. 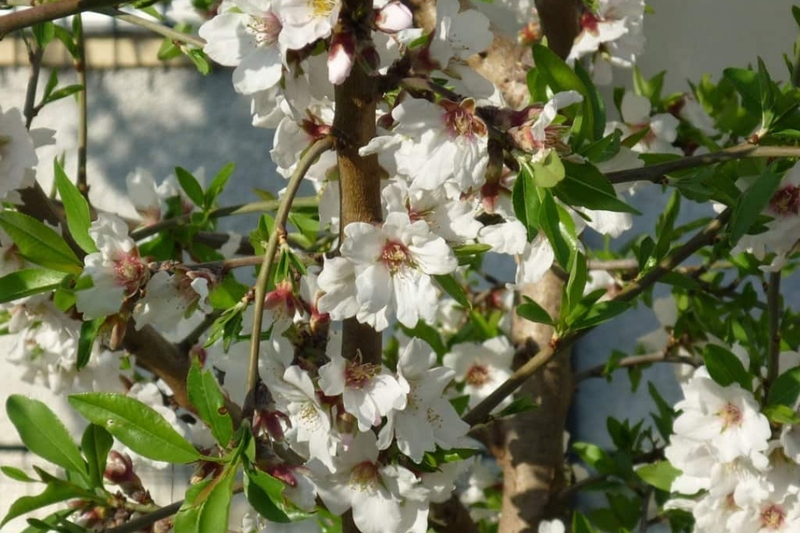 Prunus dulcis - The almond - or Prunus amygdalus, is a species of tree native to Mediterranean climate regions of the Middle East and introduced elsewhere. It is a deciduous tree, growing 4–10 m (13–33 ft) in height with 8–13 cm (3–5 in) long leaves with a serrated margin and white to pale pink, 3–5 cm (1–2 in) diameter flowers appearing before the leaves in early spring.